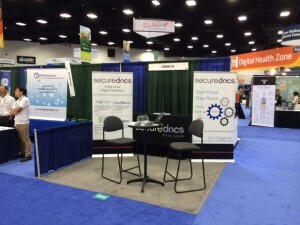 The SecureDocs Virtual Data Room team just got back from Bio International 2014 in San Diego, CA. The event was fantastic- we met great people and learned a lot. 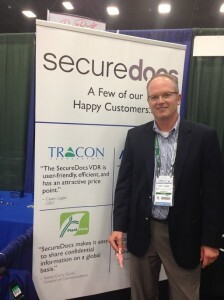 Albert Oaten, SecureDocs VP of Market Development, offers his perspective. The return of the Life Science IPO and M&A markets, and speakers like Richard Branson and Hillary Clinton, put a bounce in the step of executives attending Bio International 2014. 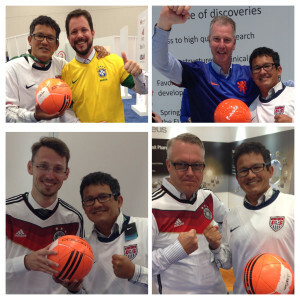 World Cup brought a common international language for everyone to share and reduced seasoned executives to their younger selves, bouncing and kicking soccer balls. The show reflected some general trends in the Life Science Industry including the increasing role national, and state governments are playing to support early stage companies. Increasing numbers of companies are focusing on targeted drug therapy innovation combined with more refined trials that include individuals with specific genome characteristics. Partnering, business development, and education were the primary themes, but connections and contacts may be the most important outcome for the companies attending. The mix of international government programs, early stage companies, attractive foreign direct investment incentive options, privately-funded startups with unique technology, coupled with the talented ecosystem of specialized CROs, drug discovery and drug manufacturing solutions, made for a rich participant mix. The end result was high-IQ researchers interacting with experienced business executives, finding ways to formally and informally help each other. Bio International 2014 did a great job facilitating after hours environments where everyone could mix together, share drinks and listen to live music. Early stage entrepreneurs could learn about executing operationally and navigating the business end of fundraising and partnerships. For vendors like us, it was a great format to meet with our clients and prospective customers in the United States and overseas. As you might expect, midsize and mature companies were very aware of the risks posed when sharing sensitive information with investors, CRO partners, etc… and almost all use a virtual data room. It was also an opportunity for us to meet with early stage companies that were either starting or preparing for fundraising. Increasingly, we found companies using virtual data rooms as a document repository for ongoing readiness for fundraising series A, B, C…. to M & A or IPO and everything in between. Overall, Bio International 2014 was not just about the Life Science industry, but the collaboration required among countries and government agencies, coupled with a complex ecosystem of vendors, all needed to move our knowledge forward to improve the length and quality of the human condition. Thank you to Bio International 2014 for making this a wonderful and productive show for everyone.